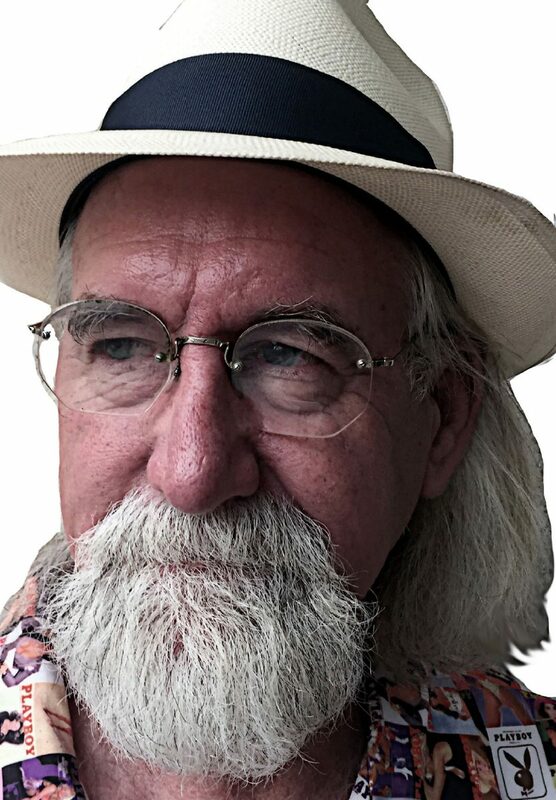 Joe Barrington’s sculpture is informed by his West Texas heritage. His grandfather brought the first arc welder to the Throckmorton area, and the artist grew up under the influence of skilled craftsmen. And while animals and other images that are native to that area have been an obvious inspiration, ravens have also been seductive subjects. 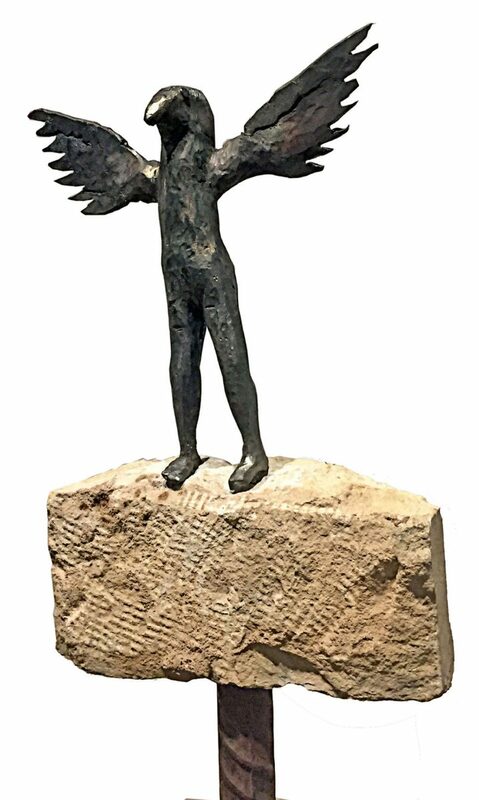 Those birds have served as messengers for different cultures across the millenia, representing creation, warnings, and sometimes the human soul itself. Barringtom taps into this mythology with his exhibit, Messengers and Other Objects/Sculpture, currently on display at Beyond Arts Gallery. The exhibit boasts a positive vibe with floor sculptures, pedestal sculpture and wall pieces. 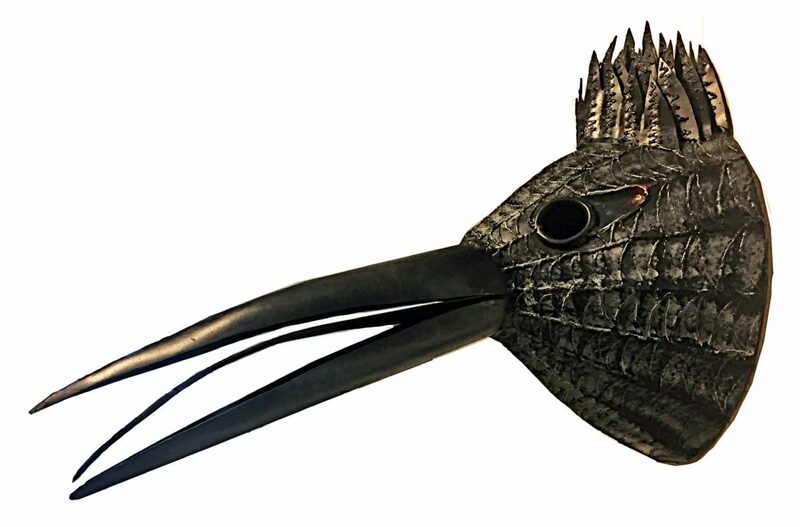 A mix of recent and older works, the sculptures are all metal, either hand-formed, hammered, or manually shape-manipulated; the ravens, cacti, Texas creatures, and human characters fill Barrington’s artistic landscape. However, there are noticable thematic skips and hops. "Bird Man" by Joe Barrington. The relationship of surface texture to subject determines the character of these works, and offer bold points of aesthetic interest. There are also ambiguous surfaces that defy identification, such as that found in “Birdman”. Here, Barrington has carved into solid steel with a torch, then polished it back, creating a fabricated form that has the solid appearance of a cast piece. Social observations and man’s relationship to the environment have ignited the artist’s interest in repurposing materials. In the past few years, Barrington says that becoming more environmentally conscious has impacted his work. 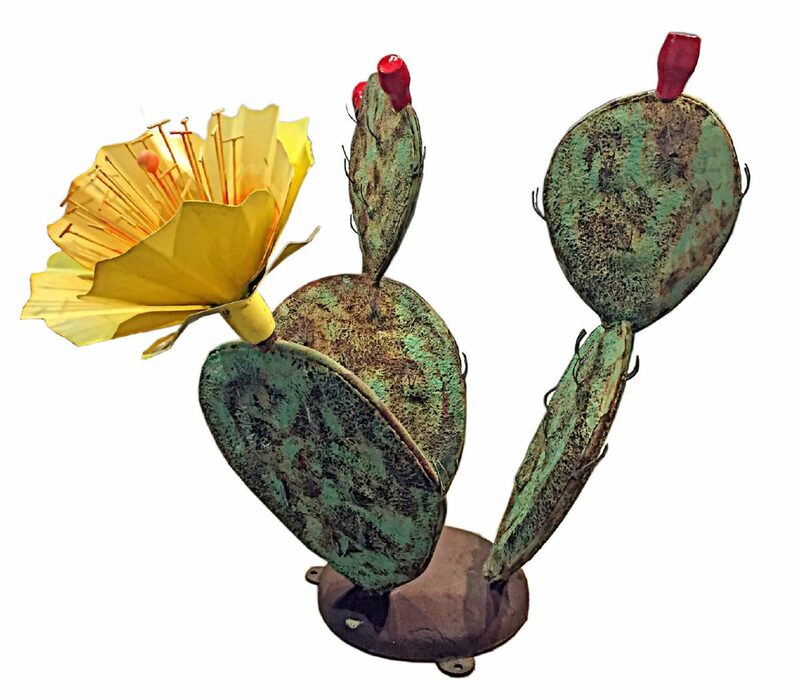 The materials he uses are mostly reclaimed, such as in his “Texas Flora” sculptures. A painted polychrome addition to the sculpture’s surface enhances the burst of the joyous cactus flower. The raven images also figure predominately into this environmental view. 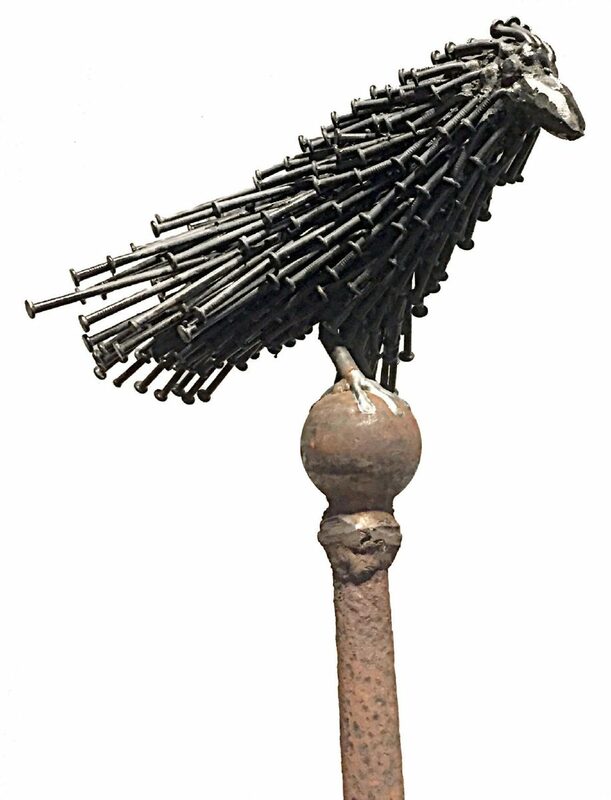 A recent work, “Raven Seeking the 3rd Dimension” exemplifies a recent spiritual direction. 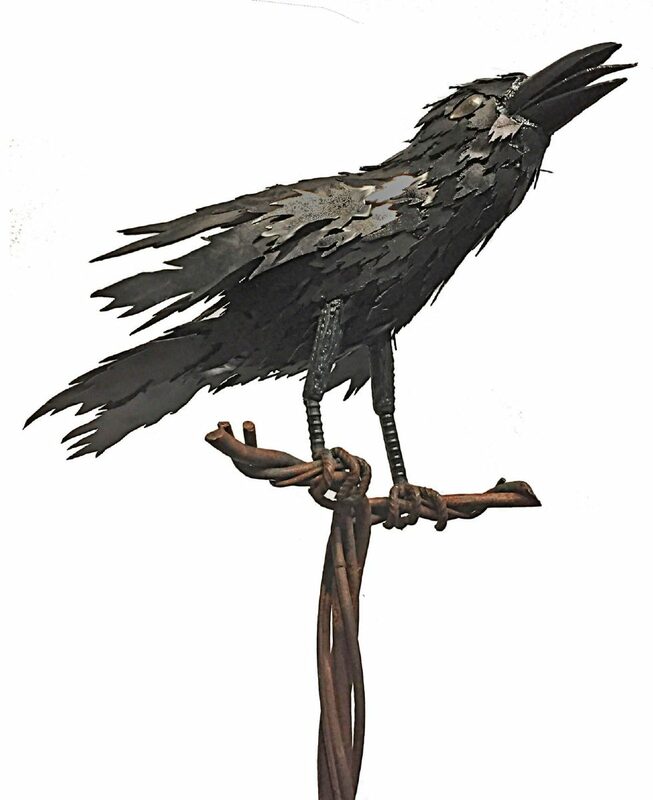 “Frenzied Raven” speaks of concern for our increased irresponsibility; spear-edged pieces of metal replacing feathers scream a warning to us. “Nailed Raven” is both humorous and ominous. Perched above our heads, this bird is weighted down and perhaps unable to fly with his feathers turned into tools of man-made construction.